Alekseev A.E., Dumanskiy A.I., Alabishev A.P. In given paper the problem of drying up forest stands of the Arkhangelsk region is presented, physicomechanical parametres of a deadwood are observed. Are presented to attention of a problem of rehash. Ways of implementation of the comminuted wood and as the impossibility of its use in some areas for which the green wood is suitable is illustrated are presented. Sampling of the process equipment for dead wood crushing and as the problem of decrease in a resource because of misfit of physicomechanical parametres of wood to real mechanical to edge tool demands is presented is illustrated. Mechanical demands to knifes for deadwood rehash are offered. Ways of increase in a resource of an edge tool by ways of deterioration of an active face or a local reinforcement a method of laser thermal heat treatment are presented. Are revealed positive and negative sides of the offered methods. On the basis of the spent researches leading-outs are drawn and directions for the subsequent researches are revealed. Keywords: efficiency increase, cutting tool, thermal processing. Volkova Z.A., Orlenko L.V. Comparative analysis of the strength of the samples of freshly cut wood and dead // Science-North Region. – Arkhangelsk: ASTU, 2006, № 67. – P. 54-58. Gomonai M.V. 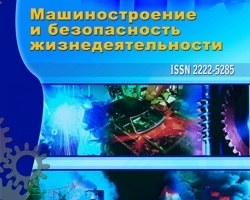 Technology for processing of wood – M: MSFU, 2008, 231 p.
Alekseev A.E., Dumansky I.O., Korolev I.Y., Elkin V.P., Ershov S.V., Wascan Y.V. Improving the efficiency of mechanical processing of wood drying out // News of higher educational institutions. Forest Journal, 2011, № 3. – P.74-82. Zotov G.A. Wood The tool design and operation – St. Petersburg: Lan, 2010, 384 p.